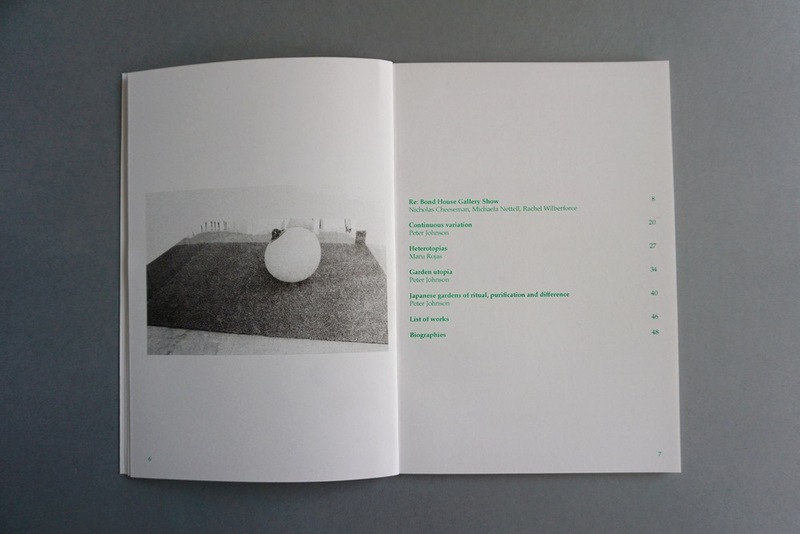 Nicholas Cheeseman, Michaela Nettell and Rachel Wilberforce launched their artists’ book with a thematic playlist by musician Padraig Whelan in July 2015. 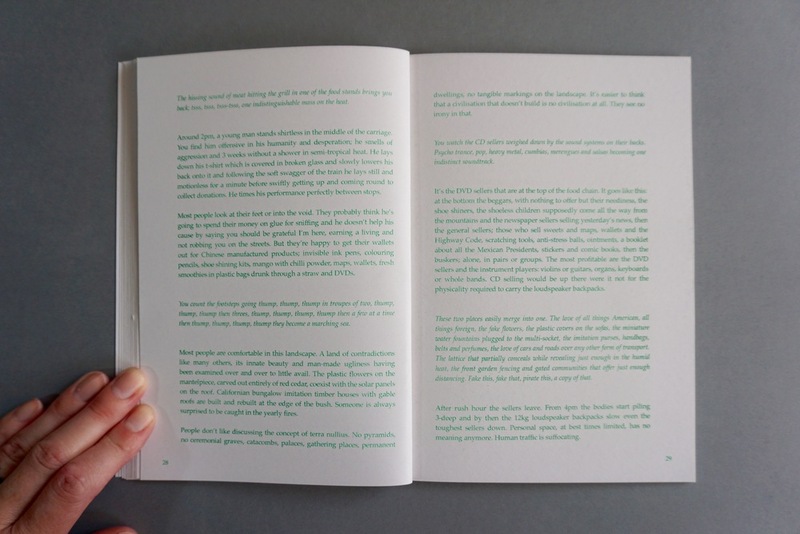 The path that runs across is a limited edition Risograph work bringing together documentation from the artists’ 2014 exhibition at Bond House Project Space, London; newly commissioned texts by writers Peter Johnson and Maru Rojas; artists’ correspondence and literary excerpts from Louis Marin’s Lectures traversières, Stephen Willats’ Beyond the Plan and Johnson’s PhD thesis On Heterotopia, amongst others. 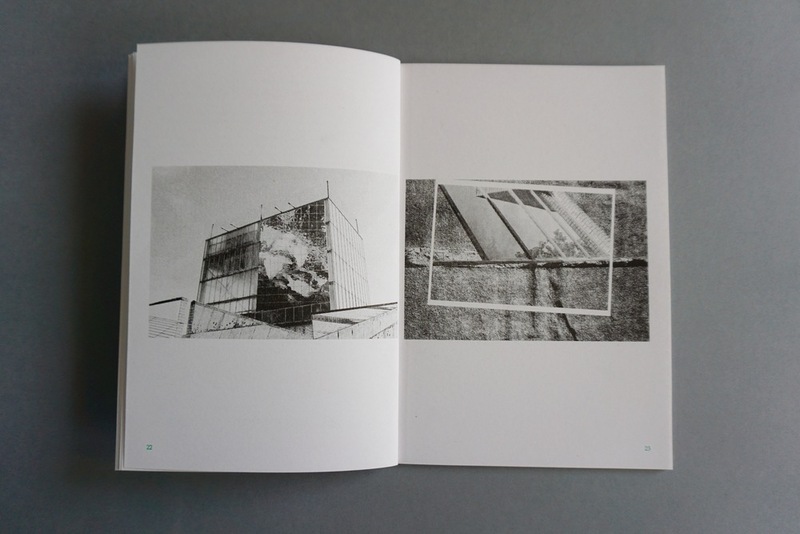 The publication traces the project’s many and wandering lines of enquiry, exposing tensions between the desire for and the repression of nature in the built environment. 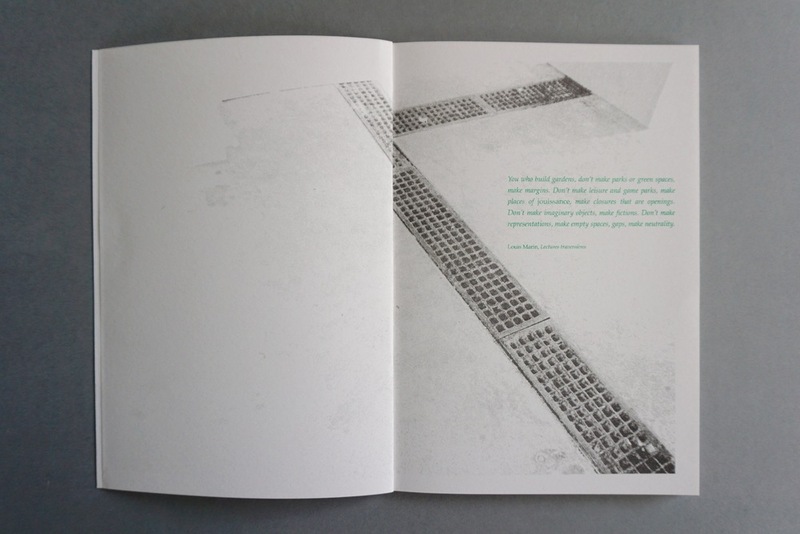 The path that runs across is available to buy, or to download for free in PDF form. A set of limited edition Risograph prints is also for sale. In association with Chelsea Salon, University of the Arts London.